Here we are with the last challenge for August at Christmas Card Challenges. There's a great sketch over at the blog for you to try if you'd like to incorporate that into your holiday or Christmas card. I just love the silhouette images from the PTI set I used. So clean and classy. The other designers have some great cards for you here so be sure and check out what they have come up with for this challenge. Crafty hugs! I always love your embossing! Love the silhouette, beautiful card! Very pretty Alanna! Great stamp image. This is lovely! 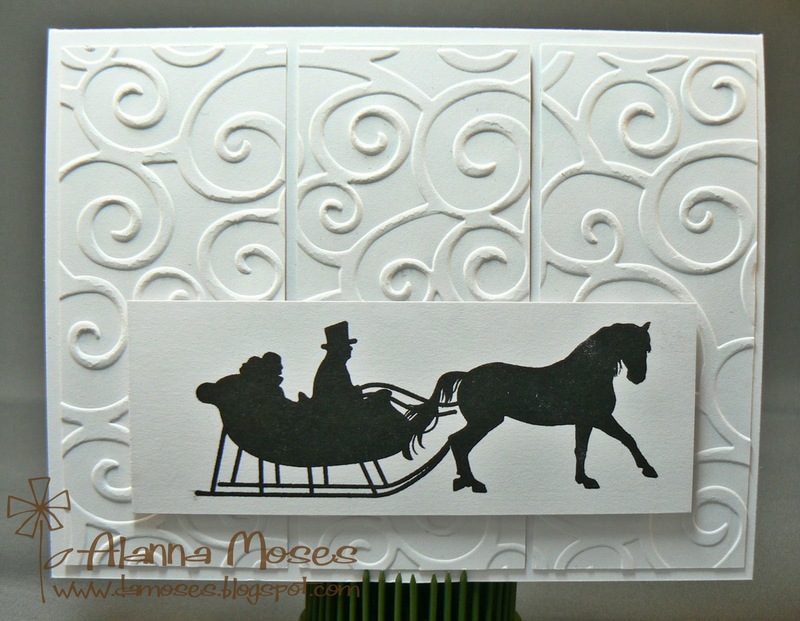 The embossing gives the feeling of snow swirls. And that image is gorgeous!